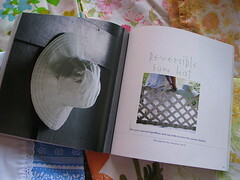 I did two projects for this book that I am very excited about–the reversible sun hat and the simply red skirt. It was great fun doing this and learning a bit of the process of getting something published. Not as scary as I once thought. And it’s pretty incredible seeing your name printed in a book! Even some follow bloggers that I “know”, like Bella Dia, Oh Fransson!, and Vintage Chica are in this great book. 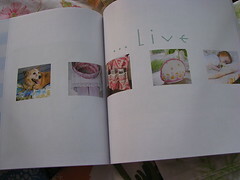 The book itself has loads of great things to make. 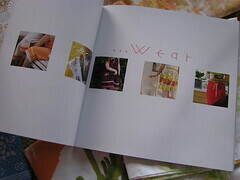 Twenty-eight projects within categories such as Wear, Show and Live. I’m looking forward to trying the lounge pants, sunny lunchbox, crocheted bowl, baby quilt and maybe a dress or apron for my niece. 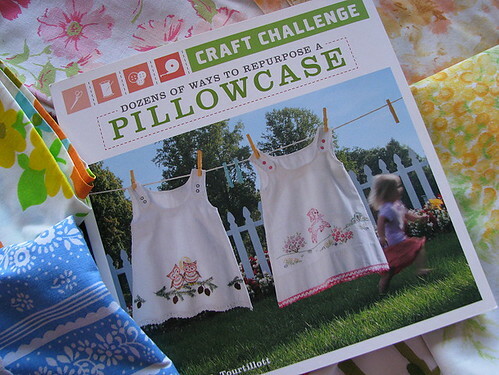 I definitely have enough pillowcases to work with. 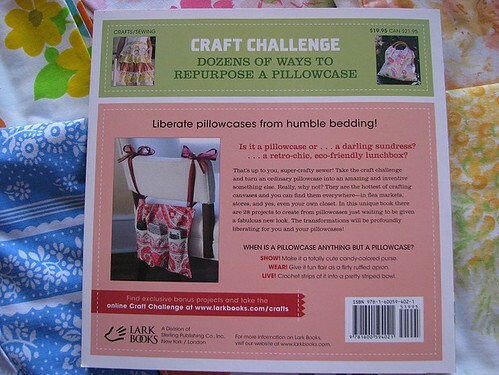 This entry was posted in Reading, Recycle,Reduce,Reuse, Sewing and tagged book, challenge, craft challenge, Dozens of ways to repurpose a pillowcase, pillowcase, reading, repurpose, Sewing, upcycle. Bookmark the permalink. Congrats on being in the book. It looks like it has some great patterns in it. I’d love to know where I can get a copy of this book. 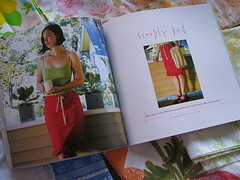 I so want to make some of those cute little girl’s sundresses and that red skirt would be awesome for summer! It is available at Barnes&Noble ($19.99) and through Amazon ($13.57 + free shipping for orders over $25). There is a link in my post for Amazon. I’m planning on making a dress for my niece. There are 4 different dress variations! All are quite lovely. Now this looks like a book I have to get my fingers on! ooooooohhhhhh I’m drooling!! Garage sale season is almost here!!!! P.S. I totally am copying your GREEN birthday party!! you are going to be so proud.. I am finishing up the final details then testing comes this weekend YUM!! I am not sure why my post didn’t show… sigh, I think I am blogging wrong out of no where..
P.S. you are going to be so proud of our GREEN birthday party!! Regina, I think this makes you a BIG girl now! Congrats! that didn’t call for it to be reversible.